White Connecticutians are Americans of predominately European descent sampled in the state of Connecticut. Actor Paul Giamatti was born in New Haven of old New England and more recent immigrant stock. and Maps of American Ancestries. 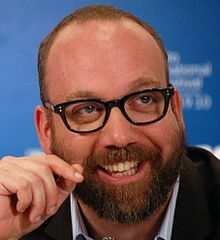 Photo: Paul Giamatti of Italian, Irish, and English descent. Credit: Karon Liu at www.flickr.com.